1. Irene Thelma Sisk was born 12 Aug 1913, Johnstown, Cambria Co., Pennsylvania (daughter of Robert Patrick Sisk and Sarah Catherine McGinley); died 25 Jul 1915, Johnstown, Cambria Co., Pennsylvania; was buried 26 Jul 1925, St. John's Cemetery, Johnstown, Cambria Co., Pennsylvania. 2. Robert Patrick Sisk was born 17 Mar 1879, Chest Springs, Cambria Co., Pennsylvania (son of John Sisk and Sarah Jane Daley); died 7 Nov 1925, Warren, Warren Co., Pennsylvania; was buried Nov 1925, St. John's, Johnstown, Cambria Co., Pennsylvania. 3. Sarah Catherine McGinley was born 12 Apr 1881, Shamokin, Northumberland, Pennsylvania (daughter of John McGinley and Mary Ellen Buggi); died 6 Mar 1961, Altoona, Blair Co., Pennsylvania; was buried 9 Mar 1961, St. John's, Johnstown, Cambria Co., Pennsylvania. Robert J. Sisk was born 29 Jan 1905, Johnstown, Cambria Co., Pennsylvania; died 16 Dec 1987; was buried Dec 1987, Rock Creek Cemetery, Silver Spring, Montgomery Co., Maryland. Mary Lenetta Sisk was born 5 Oct 1907, Johnstown, Cambria Co., Pennsylvania; died 26 Dec 1979. John William Sisk was born 11 Jul 1908, Johnstown, Cambria Co., Pennsylvania; was christened 12 Jul 1908, St. John's, Johnstown, Cambria Co., Pennsylvania; died 7 Oct 1908, Johnstown, Cambria Co., Pennsylvania; was buried 9 Oct 1908, St. John's, Johnstown, Cambria Co., Pennsylvania. Thomas Orlando Sisk was born 1 Mar 1910, Johnstown, Cambria Co., Pennsylvania; was christened 20 Mar 1910, St. John's, Johnstown, Cambria Co., Pennsylvania; died 29 Mar 1975, Johnstown, Cambria Co., Pennsylvania; was buried 1 Apr 1975, Grandview, Johnstown, Cambria Co., Pennsylvania. Edward James Sisk was born 6 Mar 1912, Johnstown, Cambria Co., Pennsylvania; died 15 Jan 1989, Ebensburg, Cambria Co., Pennsylvania; was buried 19 Jan 1989, St. John's, Johnstown, Cambria Co., Pennsylvania. 1. Irene Thelma Sisk was born 12 Aug 1913, Johnstown, Cambria Co., Pennsylvania; died 25 Jul 1915, Johnstown, Cambria Co., Pennsylvania; was buried 26 Jul 1925, St. John's Cemetery, Johnstown, Cambria Co., Pennsylvania. Joseph Anthony (Rev. Wilfred T.O.R.) Sisk was born 25 Sep 1915, Johnstown, Cambria Co., Pennsylvania; died 23 Dec 1977, Altoona, Blair Co., Pennsylvania; was buried 27 Dec 1977, St. Francis, Loretto, Cambria Co., Pennsylvania. Catherine Sisk was born 10 May 1919, Johnstown, Cambria Co., Pennsylvania; died 8 Mar 1922, Johnstown, Cambria Co., Pennsylvania; was buried 10 Mar 1922, St. John's, Cambria Co., Pennsylvania. Pauline Mary Sisk was born 10 May 1919, Johnstown, Cambria Co., Pennsylvania; died 16 Mar 1997; was buried 1997. Ellen Catherine (Sr. M.Eugene O.S.F.) Sisk was born 9 Jul 1921, Johnstown, Cambria Co., Pennsylvania; died 28 Mar 1995, Millvale, Allegheny Co., Pennsylvania; was buried 1 Apr 1995, Mt. Alvernia, Millvale, Allegheny Co., Pennsylvania. 4. John Sisk was born 1835 (son of Robert Sisk and Margaret Kearnes); died 14 Jan 1903, Chest Springs, Cambria Co., Pennsylvania; was buried Jan 1903, St. Monica's, Chest Springs, Cambria Co., Pennsylvania. 5. 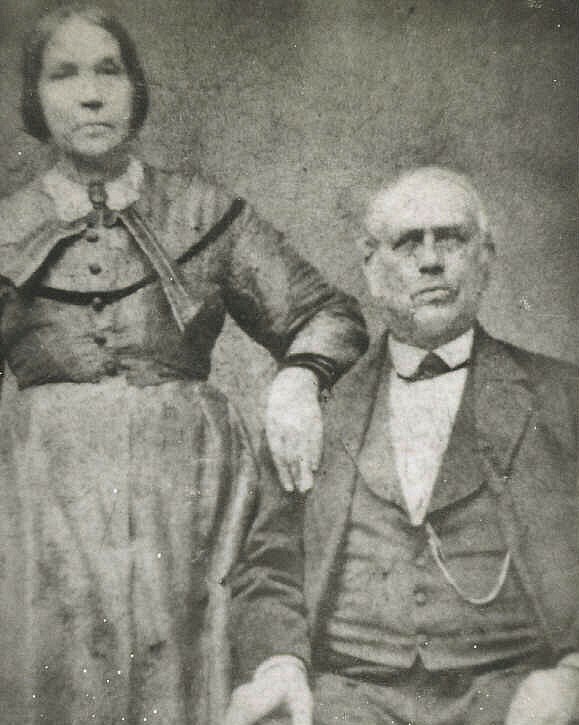 Sarah Jane Daley was born 1 Mar 1842, Allegheny Twp., Cambria Co., Pennsylvania; was christened 20 Mar 1842, St. Patrick's, Newry, Cambria Co., Pennsylvania (daughter of Joseph Daley, Immigrant and Unity McCoy); died 22 Dec 1923, Altoona, Blair Co., Pennsylvania; was buried 26 Dec 1923, St. Monica's, Chest Springs, Cambria Co., Pennsylvania. James Edward Sisk was born 29 Apr 1869 or 28 Mar 1869, Chest Springs, Cambria Co., Pennsylvania; died 29 Dec 1938, Pottsville, Schuylkill, Pennsylvania; was buried 2 Jan 1939, Mary Queen of Peace Cemetery, Pottsville, Schuylkill Co., Pennsylvania. Catherine Sisk was born 25 Feb 1870, Chest Springs, Cambria Co., Pennsylvania; died 13 Aug 1909, Altoona, Blair Co., Pennsylvania; was buried 16 Aug 1909, St. Monica's, Chest Springs, Cambria Co., Pennsylvania. Mary Ann Sisk was born 15 Aug 1874, Chest Springs, Cambria Co., Pennsylvania; died 22 Jan 1958, Cresson, Cambria Co., Pennsylvania; was buried 25 Jan 1958, St. Francis, Cresson, Cambria Co., Pennsylvania. Joseph Michael Sisk was born 22 Dec 1877, Chest Springs, Cambria Co., Pennsylvania; died 12 Aug 1960, Altoona, Blair Co., Pennsylvania; was buried 16 Aug 1960, Calvary Cemetery, Altoona, Blair Co., Pennsylvania. 2. Robert Patrick Sisk was born 17 Mar 1879, Chest Springs, Cambria Co., Pennsylvania; died 7 Nov 1925, Warren, Warren Co., Pennsylvania; was buried Nov 1925, St. John's, Johnstown, Cambria Co., Pennsylvania. Margaret Sisk was born 1884/1885, Chest Springs, Cambria Co., Pennsylvania; died 12 Jan 1972, Holidaysburg, Cambria Co., Pennsylvania; was buried Jan 1972, Calvary Cemetery, Altoona, Blair Co., Pennsylvania. Enetta Sisk was born 6 Jan 1886, Chest Springs, Cambria Co., Pennsylvania; died 1 Aug 1955, Altoona, Blair Co., Pennsylvania; was buried 4 Aug 1955, Calvary Cemetery, Altoona, Blair Co., Pennsylvania. Martin John Sisk was born 9 Mar 1888, Chest Springs, Cambria Co., Pennsylvania; died 4 May 1962, North Warren, Warren Co., Pennsylvania; was buried 7 May 1962, St. Joseph's, Warren, Warren Co., Pennsylvania. 3. Sarah Catherine McGinley was born 12 Apr 1881, Shamokin, Northumberland, Pennsylvania; died 6 Mar 1961, Altoona, Blair Co., Pennsylvania; was buried 9 Mar 1961, St. John's, Johnstown, Cambria Co., Pennsylvania. 8. Robert Sisk was born 1805, Ireland; died 13 Mar 1877; was buried Mar 1877, St. Michael's Cemetery, Loretto, Cambria Co., Pennsylvania. 9. Margaret Kearnes was born 1798, Ireland; died 17 May 1876; was buried May 1876, St. Michael's Cemetery, Loretto, Cambria Co., Pennsylvania. 4. John Sisk was born 1835; died 14 Jan 1903, Chest Springs, Cambria Co., Pennsylvania; was buried Jan 1903, St. Monica's, Chest Springs, Cambria Co., Pennsylvania. 10. Joseph Daley, Immigrant was born Apr 1813, Ireland; died 6 Apr 1885, Conemaugh Bor., Johnstown, Cambria Co., Pennsylvania; was buried 8 Apr 1885, Lower Yoder Catholic Cemetery, Lower Yoder Twp., Cambria Co., Pennsylvania. 11. Unity McCoy was born 1812/1813, Allegheny Twp., Cambria Co., Pennsylvania (daughter of John McCoy, Immigrant and Susan, Immigrant); died 26 Jun 1890, Conemaugh Bor., Johnstown, Cambria Co., Pennsylvania; was buried 29 Jun 1890, L. Yoder Cath., Lower Yoder Twp., Cambria Co., Pennsylvania. Bridget Daley was born 26 Nov 1837, Chest Springs, Allegheny Twp., Cambria Co., Pennsylvania; was christened 2 Dec 1837, St. Michael's, Loretto, Cambria Co., Pennsylvania; died 10 Feb 1922, Johnstown, Cambria Co., Pennsylvania; was buried 12 Feb 1922, St. John's, Johnstown, Cambria Co., Pennsylvania. Mary Ann Daily was born 17 Sep 1839, Allegheny Twp., Cambria Co., Pennsylvania; was christened 27 Oct 1839, St. Patrick's, Newry, Cambria Co., Pennsylvania; died 17 Aug 1866, Loretto, Allegheny Twp., Cambria Co., Pennsylvania; was buried Aug 1866, St. Michael's, Loretto, Cambria Co., Pennsylvania. 5. Sarah Jane Daley was born 1 Mar 1842, Allegheny Twp., Cambria Co., Pennsylvania; was christened 20 Mar 1842, St. Patrick's, Newry, Cambria Co., Pennsylvania; died 22 Dec 1923, Altoona, Blair Co., Pennsylvania; was buried 26 Dec 1923, St. Monica's, Chest Springs, Cambria Co., Pennsylvania. Catherine Daley was born 27 Aug 1845, Chest Springs, Cambria Co., Pennsylvania; was christened 14 Sep 1845, St. Aloysius, Summit, Cambria Co., Pennsylvania; died 31 Oct 1918, Johnstown, Cambria Co., Pennsylvania; was buried 2 Nov 1918, St. John's, Johnstown, Cambria Co., Pennsylvania. James A. Daley was born 27 Jun 1847, Allegheny Twp., Cambria Co., Pennsylvania; was christened 18 Jul 1847, St. Aloysius, Summit, Cambria Co., Pennsylvania; died 21 Jul 1888, Conemaugh Bor., Johnstown, Cambria Co., Pennsylvania; was buried Jul 1888, L. Yoder Cath., Johnstown, Cambria Co., Pennsylvania. John Daley was born 19 Apr 1849, Allegheny Twp., Cambria Co., Pennsylvania; was christened 19 May 1849, St. Aloysius, Summit, Cambria Co., Pennsylvania; died 28 Feb 1883, Conemaugh Bor., Johnstown, Cambria Co., Pennsylvania; was buried 2 Mar 1883, Old Catholic, Conemaugh Bor., Cambria Co., Pennsylvania. Alice Daley was born 1851/1852, Allegheny Twp., Cambria Co., Pennsylvania; died Bef 6 Apr 1885. Joseph Daley was born 8 Mar 1854, Allegheny Twp., Cambria Co., Pennsylvania; died 16 Nov 1940, Johnstown, Cambria Co., Pennsylvania; was buried 19 Nov 1940, St. John's, Johnstown, Cambria Co., Pennsylvania. Thomas Raymond Daley was born 28 Jan 1860, Allegheny Twp., Cambria Co., Pennsylvania; was christened , St. Michael's, Loretto, Cambria Co., Pennsylvania; died 16 Jul 1943, Ebensburg, Cambria Co., Pennsylvania; was buried 19 Jul 1943, St. John's, Johnstown, Cambria Co., Pennsylvania.